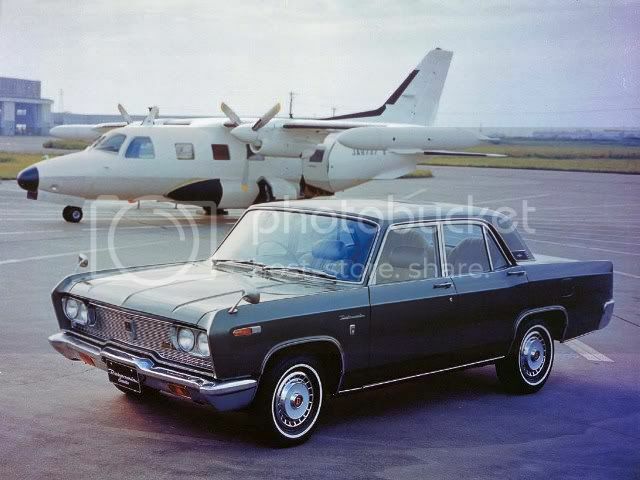 Now an ageing automobile, the Mitsubishi Debonair should further remain in production, as seems to indicate the recent face-lift to which it has been subjected. ● Introduction: October 1963. Construction: unibody. Engine: water-cooled inline six, 2.0-litre, 130 hp, mounted at the front. Transmission: to the rear wheels through a four-speed manual gearbox. Three-speed automatic optional. Suspension: independent at the front, rigid axle at the rear. Brakes: hydraulic, to discs on front wheels, drums on rear wheels. Length: 467 cm. Top speed: 180 kph. Range: four-door “Executive” saloon.